hd00:21SEOUL, SOUTH KOREA - APRIL 6: Tourists and Gyeongbokgung palace in seoul on April 6, 2016 in Seoul, South Korea. hd00:10SEOUL - February 04 2017 :Time lapse of Gyeongbokgung palace and people walking February 04 2017 . 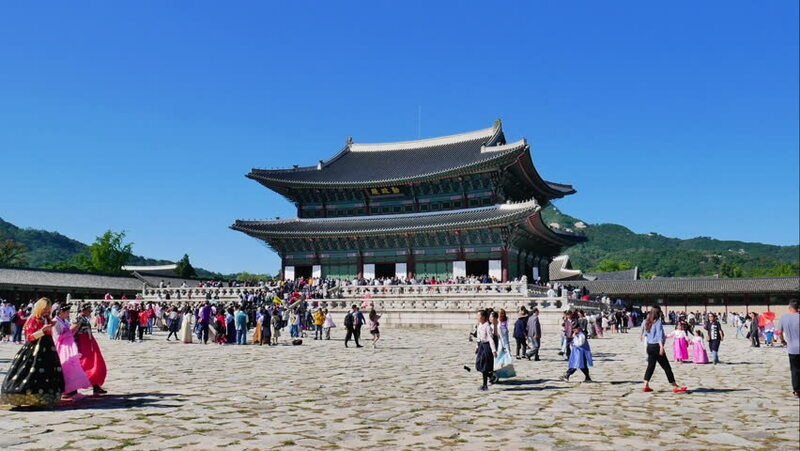 Gyeongbokgung palace is a must visit place and popular in Seoul,South korea.